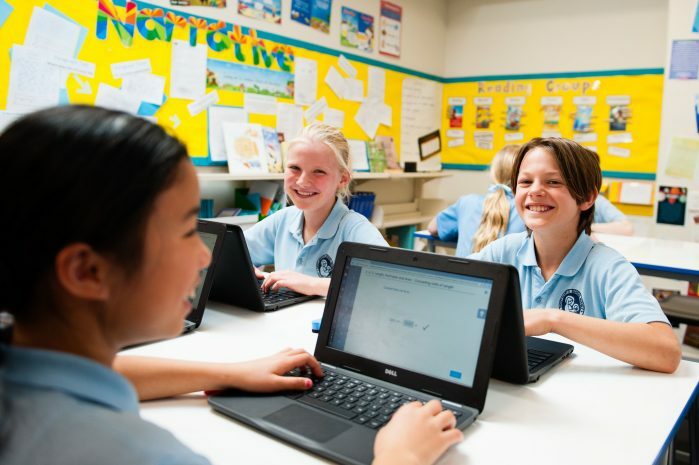 St. Mary’s Catholic School is well equipped to support your child’s learning throughout their primary years. 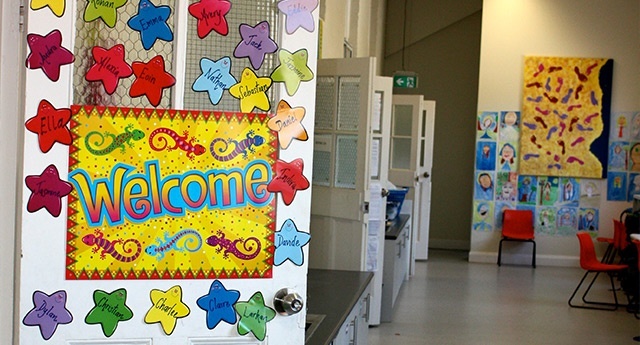 The classrooms and specialist teaching areas are well-resourced. From interactive whiteboards and multiple computers and laptops to iPads and digital devices, we ensure that children are given an opportunity to integrate traditional learning with modern technologies. The added benefit of air-conditioning helps everyone manage the heat of our Sydney summer. We have an exciting new media lab, a well-stocked and spacious library, speech and drama room and a music room, which specialise in electronic music production. Multi-functional and recently updated with audio-visual equipment and a new modern kitchen. It is the ideal venue for parent presentations, weekly assemblies, drama recitals and parish activities. In addition, it is used for certain sports, gym and before & after school activities. There are several areas across the grounds for children to expend some energy. 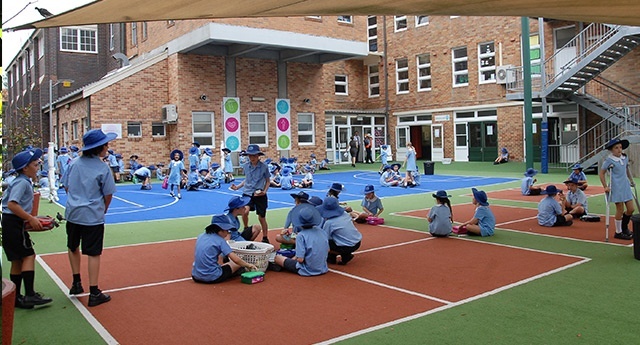 The central playground is the focal point of morning assemblies, lunch and free play. Benefitting from recent child-friendly resurfacing with markings for handball courts, a soccer court and long jump, it has shade cloth to protect everyone from the harsh sun and a large and colourful play equipment area, complete with sandpit. This area is also home to a vegetable garden, and recycling centre that every class has the opportunity to contribute to. The ‘quiet’ playground is off Denison Street and is aptly named for the beautiful big tree that gracefully shades the area. The churchyard is sectioned off at certain times of the day in order for the children to play ball games and have a chance to run around more. 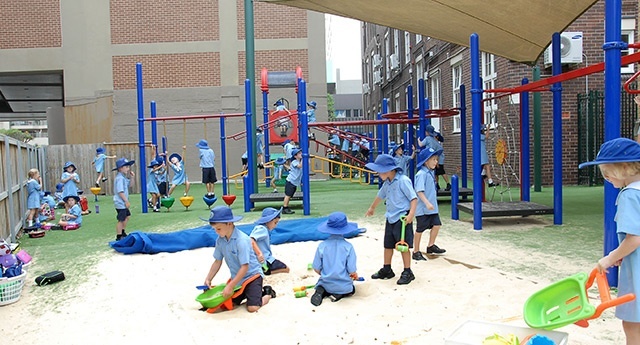 The school visits Manly Oval and Manly Beach each week for play and learning opportunities. Our ‘Refuel Station’, is located in the ‘Undercroft’ and offers delicious food, snacks and treats on Mondays, Thursdays and Fridays. There is a Summer and Winter menu available. We run with the voluntary help of parents, rostered across the term. However, once a term we run a ‘Dad’s Week’ where only the fathers get involved and a BBQ menu is offered. Check the newsletter for details of these events throughout the year. Please click the link for the current menu. All Canteen orders are done through Qkr. Please download the App or it can be accessed from a computer.